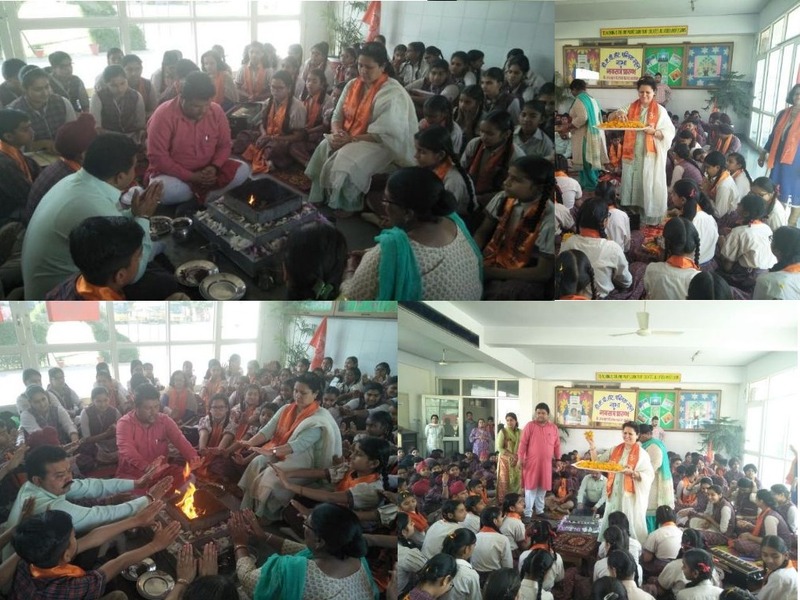 To mark the beginning of the new academic session 2019-20, DAV Centenary Public School, Nabha conducted hawan under the benevolent guidance of our worthy Principal Miss Meena Mehta. Hawan was performed to seek to the blessings of the Almighty for the year ahead. The Principal, students and staff members offered prayers and chanted mantras for a divine commencement of new academic session 2019-20. To mark the beginning of the new session, one havan yajna was also performed in the senior wing of the school on 3rd April 2019. Shastri ji told the importance of Gayatri Mantra in the education system. The Principal Miss Meena Mehta blessed all the students by showering flowers on them and she also emphasized the significance of Hawan to the students.She told that it takes the person from darkness of ignorance to the light of knowledge. She also gave her heartfelt wishes to the students and the teachers and inspired the students to work with stern commitment and perseverance. She guided the students to be disciplined and follow the path of simple living and high thinking.